Just pulled this off of Drudge. Has anyone else heard this? Talk about an opportunity. Drydock 4? That doesnt make much sense. Land there would be cheaper, it's in an area Mumbles wants built up pronto, and it's on public transit. why move to somewhere that already has a popular and successful venture on it when there are plenty of places throughout the city that lay fallow? I think the B of A Pavilion has a fixed-term lease from the city on its current site. It has moved around a few times already. I am not excited about this. Boston's idea of iconic is mid-1990s arhictecture clad in glass. Sad? Why? That will be the happiest day for Boston in 40 years. Happy? Give City Hall another 20 years and it will be a landmark that the preservationists will be clamoring to save. ^^ Yeah, I drank the ablarc/justin/Beton Brut kool-aid on City Hall as well. I still don't like it, but I don't think it should be torn down. It needs to be cleaned, redeveloped and modified in parts, but leave it standing. OK, suppose it stays standing. What would you use it for? The whole area would need to be redeveloped, but I think the building is flexible enough to be adapted for reuse. The possibilities are limitless. I think a museum would be perfect though. "Sad to think of City hall coming under the wrecking ball. Evil or Very Mad"
Enough said. Raze the place. It's all subjective, but what it represents -what the architects tried to represent-is very important, not only for architecture but for city government in general. The whole is greater than the sum of its parts. Examine what the building means instead of following knee-jerk gut emotions. 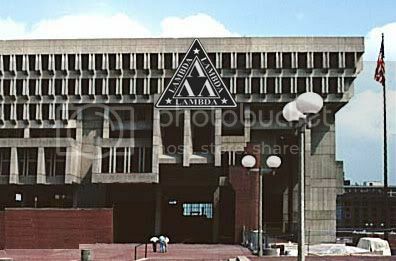 City Hall can and should be improved for its intended use, but I don't believe its current inhabitants are up to the task...Menino aside, is there a member of the City Council that could be accused of being a visionary in this regard? Show most people a photo of a Usonian home, and they'll think it's a gas station...I'm not making a value judgment about their morals or their cognitive abilities...I am, however, making a stern judgment about what we teach (and fail to teach)...People spend their lives in a built environment (home, school, workplace, retail spaces, public buildings, concert halls, museums, stadia) -- it's sad that their frame of reference is left to chance...How often is architecture mentioned in high school civics or history classes? Understanding what we build (and why it looks the way it does) is a critical part of our understanding society -- can we at least agree on that?